February favourites featuring Urban Decay, Charlotte Tilbury, Sarah Chapman & more! So it's the end of another month - I love this time of year because there's a real touch on Spring in the air - although it's still cold, the days are brighter and longer and I can start to banish the dark clothes to the back of the wardrobe! I have a variety of products to share with you this month and all have been firm favourites for the past four weeks! Mother's Day in the UK & Ireland is fast approaching (March 6th) and it is the perfect day to remind your mother or the mother of your children how much you appreciate her and to spoil her! Today, I have collaborated with Debenhams who have a vast array of gift ideas for Mother's Day on their website ranging from clothes, make-up, jewellery, flowers, handbags, homeware, skincare and many more. I got my love of skincare from my mother, who has fabulous skin and despite being in her 60s, has barely a line on her face so today I am showing you a giftset from Estée Lauder that I know she would love. Today I want to share with you two current skincare loves that have left some of my other products in the shadows recently. I'll preface this by saying that I have dry and dehydrated skin with some visible pores in the cheek area and my skin is also quite sensitive. I rarely have spots but can sometimes have a little congestion on my chin and along my jawline. I am also on high doses of several medications at the moment, which has resulted in my skin being even drier and more sensitive than usual. I am a bit of a skincare junkie but these two products have been firm favourites recently in my never-ending quest to battle dry skin and achieve radiance. So let's get started! This time last year, I didn't own any Jo Malone products but I've been hooked ever since my husband bought me a bottle of Lime, Basil & Mandarin last April and have added a few more fragrances to my collection since then, or rather, my husband has! Today, I'm going to share my thoughts on the five fragrances that I own and how I like to combine them. I have quite a large make-up collection, which means that lots of products can be neglected at times - I only have one face after all! I've decided that I need to start dipping into my stash to get proper use out of my collection rather than just adding and adding to it! I review my collection every 6 months and give any products that I no longer want or use to my sister in law's nieces but there are some products that I just can't part with and have decided that I need to use them more often. Today I am going to share the first instalment of my rediscoveries with you and tell you why I can't part with them! Win the Limited Edition Urban Decay Gwen Stefani Blush Palette! So it's giveaway time here again on Beautylymin and I'm hoping that this will be a popular prize as it received a great response in a post where I showed you that I had purchased one for myself. I absolutely love this blush palette and will do a review here on the blog soon. The photo above shows my own palette but you will receive a brand new one. 5. You must leave a comment with your usernames for Bloglovin/Twitter/Instagram. You can earn extra entries by leaving a comment telling me what type of posts are your favourite to read on Beautylymin and you can also earn extra entries by leaving a relevant comment on any of my other posts. If you don't follow steps 1-5, your entry will not be valid and will be deleted. If you follow and then unfollow, your entry will not be valid. This giveaway is open worldwide & is NOT sponsored. I bought the prize myself with my own money. There is no alternative prize available as it has already been purchased. The giveaway will end at midnight on March 17th and a winner will be chosen via random.org. I will then contact the winner and they will have 72 hours to respond. If the winner fails to respond within that timeframe, they will be disqualified and another winner will be chosen with the same criteria. If you are under 16, you will need a parent or guardian's permission to enter as you will have to disclose your address to me. I cannot be held responsible for anything lost in the post or any customs/fees incurred, however I will mark the parcel as a gift. QVC is a site that I sometimes overlook when shopping online for beauty products but there are some real bargains to be had on there. Earlier this week, I spotted a Sarah Chapman bargain that I had to buy and because it is still available, I'm sharing the details of it with you all today so you can snap it up too! This post is not sponsored - I bought it with my own money but it is too good not to share! 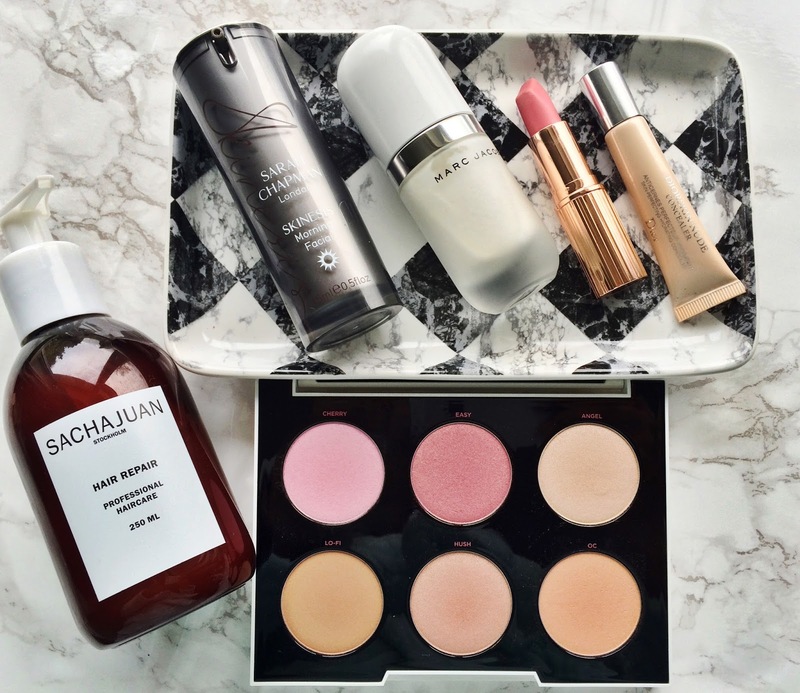 Recent purchases #27 featuring Urban Decay, Sachajuan, Sarah Chapman, GLAMGLOW & more! I have a mixture of products that I bought recently to share with you today. Some I needed and some I wanted and actually, for me, the lines between need and want are a bit blurred at times so all of the products could fall into either category! I have a some skincare & make-up and of course, being the palette addict that I am, there is an eyeshadow palette in here! So let's get started. Empties & speedy reviews #21 featuring Omorovicza, Aurelia, Sarah Chapman, Clarins, Clinique, This Works & more! 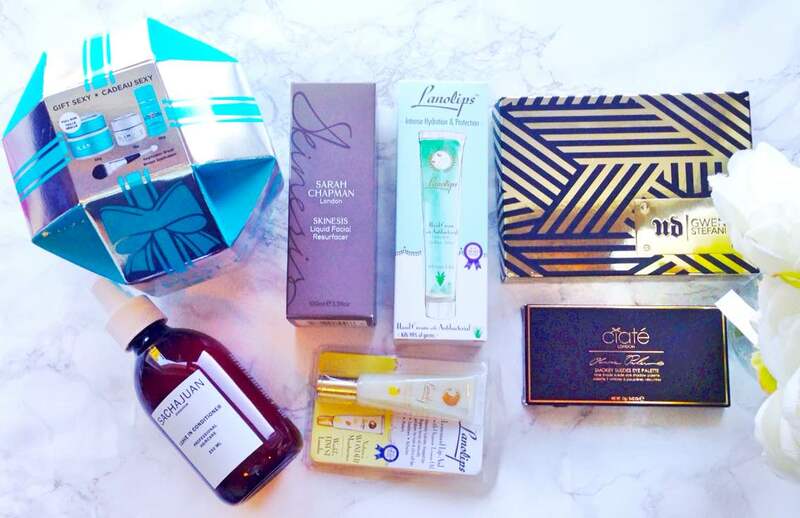 Empties & speedy reviews are some of the most read posts on my blog & I really enjoy writing them, so win/win! They also are a great reference point for me if I am thinking of repurchasing something because I don't think I've thrown anything out without blogging about it since starting this blog in July 2014, so I can always look back over the posts if I need to. I have a mixture of body and skincare and a few miscellaneous products thrown in today and there are lots of my favourites in here. Let's get started! As with all beauty addicts out there, I have a Charlotte Tilbury wishlist as long as my arm! I'm not a great fan of her skincare range but I have fallen in love with all of her make-up items that I've bought. When I saw that she was releasing two new lipsticks, I knew I would have to get at least one of them but ended up buying both because I couldn't choose between them! They have been released in time for Valentine's Day and are based around a First Date look and a Hot Date look. The names of both lipsticks were chosen by fans of the brand: Between The Sheets and Kiss Chase. For most people (myself included) the brand Irresistible Me is most often associated with their great range of hair extensions. I've seen so many great reviews on blogs recently but I personally don't wear extensions, so when the lovely Blair from the marketing department of Irresistible Me contacted me about trying something else from the brand, I decided to try the Diamond Styling Iron. I have been using this for around a month now and am ready to share my thoughts on it with you today. So let's get started! Exclusive to Debenhams - Salvatore Ferragamo Signorina Misteriosa is the perfect Valentine's Day gift for her! Love it or hate it, Valentine's Day is fast approaching! The shops are filled with cards, balloons, chocolates, flowers and anything that could possibly be associated with Valentine's Day. My husband and I have never been particularly O.T.T. for the occasion, but we do acknowledge it with a card and sometimes we exchange pressies, other times it's dinner and a cinema trip. If I were to choose a gift for Valentine's Day, I would opt for perfume over flowers because it will last longer! Of course, it doesn't have to be Valentine's Day - every day is a good day to receive a new perfume or as a gift to you, from you! Today, I am going to show you a new Salvatore Ferragamo fragrance, which launched on January 25th and is exclusive to Debenhams in the U.K & Ireland for 3 weeks! It is called Signorina Misteriosa and let me tell you, it's a beauty in every way. Ooh, I love a good facial mist! I like to use them to rehydrate after my acid toner, but also before and after I apply my make-up and to refresh my face during the day. Today I am going to share my favourite mists and why I love them - all are focused on hydration rather than pro-longing make-up wear time.